Can a half-acre of dry earth be more precious than gold? To farmers, herders and foragers in some of the world's poorest countries, the answer is very literally yes. Gold mining, agribusiness and other natural resource investments typically promise new jobs and public revenues. But they can also push poorer groups off their land and pollute their waterways. Effective use of legal rights can be a powerful tool for rural people to shape development agendas and increase local control, benefit sharing and public accountability in investment processes. This requires concerted action at multiple levels – from calling on international human rights bodies, to rethinking international investment treaties and contracts to mobilising grassroots action to engage in legal reforms, register collective landholdings and enable communities to claim their rights. Local level legal literacy and human rights advisory support requires diverse approaches from legal caravans, paralegal programmes, radio broadcasts or local deliberation tools. 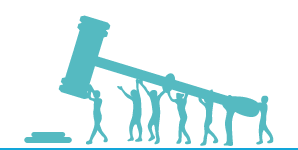 This is the aim of the Legal Tools for Citizen Empowerment project, a collaborative initiative to strengthen local rights and voices in the context of natural resource investments in low-income countries. The initiative was launched by IIED in 2006, and put into practice with a range of partners in Africa and Asia. Facilitates international sharing of lessons from innovation, including through workshops, webinars, practitioner-oriented publications and newsletters. To find out more, please see Harnessing the law to contest 'land grabs', a briefing that captures lessons learnt from the project in its first 10 years.